Everyone had a great night on Tuesday 7th with lots of socialising, fun and laughter. 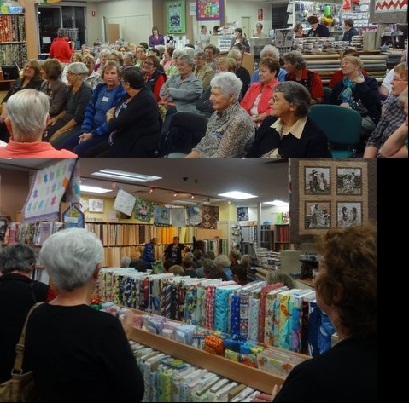 It is greatly appreciated by Hobbysew Figtree to be able to give something back to this wonderful quilters organisation, the Illawarra Quilters who continually support our community. Thanks to the staff, and former staff member Jenny Hancock, who all volunteered their help on the night. 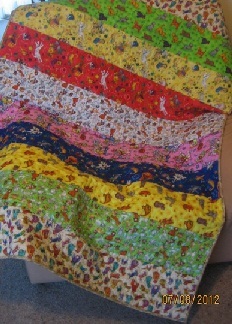 This awesome mini quilt was made by Hobbysew Figtree staffer, Sharon. The clock actually works but goes backwards! 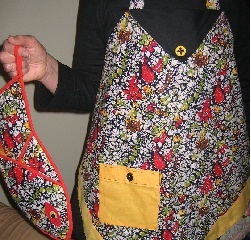 Is Hobbysew Figtree your local store? 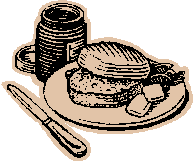 If so, just letting you know their Biggest Morning Tea is being held on Friday 31st May from 10:00 – 12:30am. Why not pop in for a cuppa? 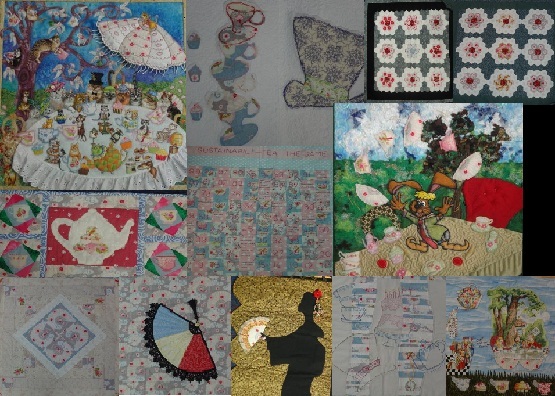 A collage of Mad March mini quilts on display in Hobbysew Figtree. 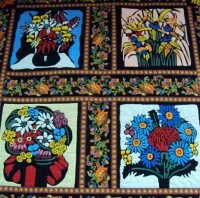 SUDOKU QUILT – sound intriguing? 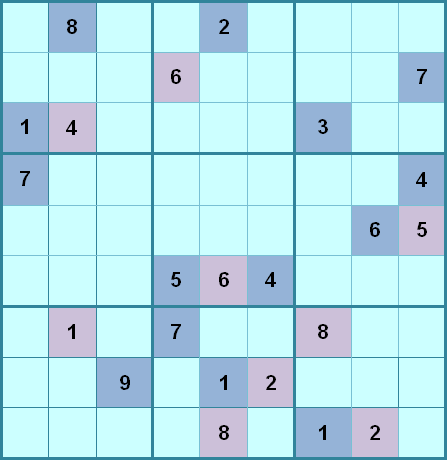 A Sudoku puzzle is a grid made up of 9 rows and 9 columns. The grid is divided into groups of nine boxes, giving a total of 9 blocks. Each block must have the same 9 numbers but the catch is that no row, column or block can have the same number repeated. 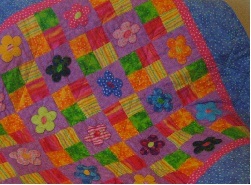 If you like a puzzle, why not sign up for Rose Frezza’s class at Hobbysew Figtree to make your very own Sudoku quilt. Lots of fun to make and puzzle over afterwards. Phone Hobbysew Figtree on 4229 8188 for more details of this class. For your lovable little monster! 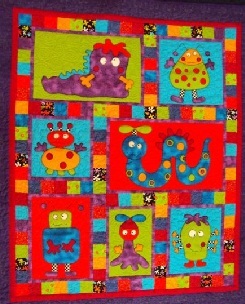 Monster Patch quilt kits are available at Hobbysew Figtree while stocks last. The applique cot quilts 112cm x 132cm (44” x 52”) are filled with funny, cute little monsters that any boy or girl will just love. Ph 02 4229 8188 for more details. Learn from a master – Merilyn Pearce. 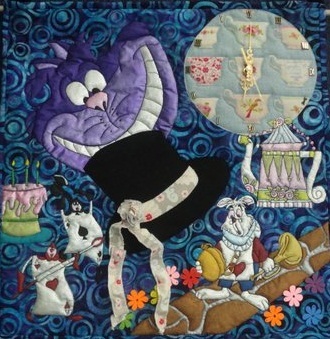 In a six class workshop you will create 4 stunning square blocks (25.5cm/14”) using needle turn applique, which can then be turned into a beautiful lap quilt or wall hanging. Or you may choose to do only one block. Either way the blocks are just breath-taking! For more details, click on Figtree classes. 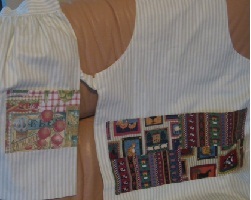 Ever wondered what to do with scrap fabric or sewing materials that are still useful but you no longer need? 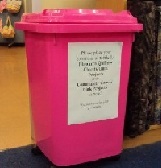 Well even the smallest scrap of fabric can be used to help a worthwhile cause. 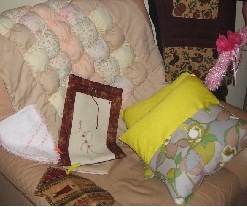 where they are made into quilts, applique projects (using small fabric scraps), even soft toys and other craft projects. 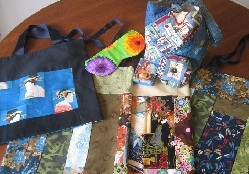 The finished items are then sold, raffled or offered as prizes at various functions as a form of fundraising. No scrap is ever wasted!